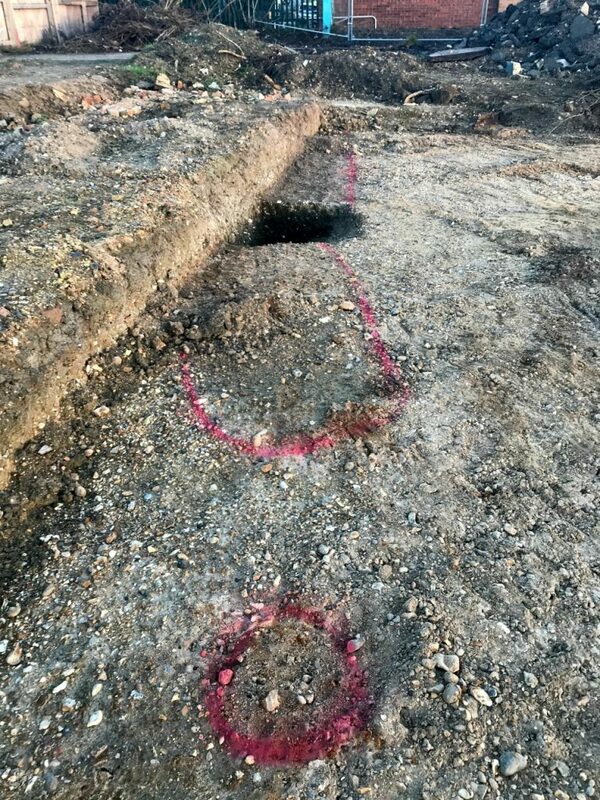 Having enabled two major archaeological investigations on our brownfield reclamation projects during 2018, Soilfix have commenced 2019 with another major archaeological investigation in Rainham, Essex. Whilst carrying out remediation & enabling works to facilitate ongoing construction by, 10nr trial evaluation trenches were excavated during Autumn 2018. Several trenches identified features of interest, including burial pits containing pottery suggesting a Roman date, as well as possible prehistoric remains. A portion of the 3Ha site is now being subjected to a controlled site strip under watching brief of the project Archaeologist and will be investigated / recorded to a written scheme of investigation agreed between Archaeology Collective and Historic England. Our client has taken the responsible decision to stand down all other intrusive works until archaeological recording has been completed to the satisfaction of Historic England and LB Havering. Once completed Soilfix can continue remediation and our client can get building…….